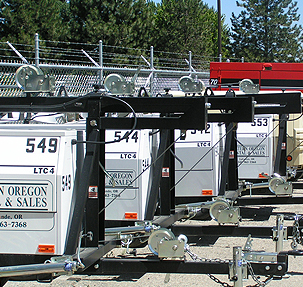 Eastern Oregon Rental & Sales offers a wide array of equipment for rent. All of our equipment is well maintained and ready for use from the moment you pick it up at one of our convenient locations. Before booking rental equipment we recommend that you review our rental policies in order to avoid preventable issues with your rental equipment. You may browse our categories at the left or use the Search bar above to locate equipment for your next project or job. Add items to your Quote Request and then select Checkout to complete and send us your request. One of our staff members will contact you to confirm your request. We have an excellent sales staff that can help you determine the kind of equipment you need for your next project or job. Don't hesitate to contact us with any questions and we look forward to working with you! Before renting equipment you may want to take a look at our Rental Policies. We believe that our policies and guidelines help ensure a fair and consistent approach to the various aspects of our rental business, but if you have specific concerns or needs please speak with our store manager.